Fried Prawn Wanton. My-My! Such a fab kinda crunch and munch right? I know. Fried stuffs especially on the whole? You tell me. In fact, when these wanton skin parcel filled with prawns came out from my wok, a few actually went missing immediately. Not anywhere far, but our tummy tucking actually. 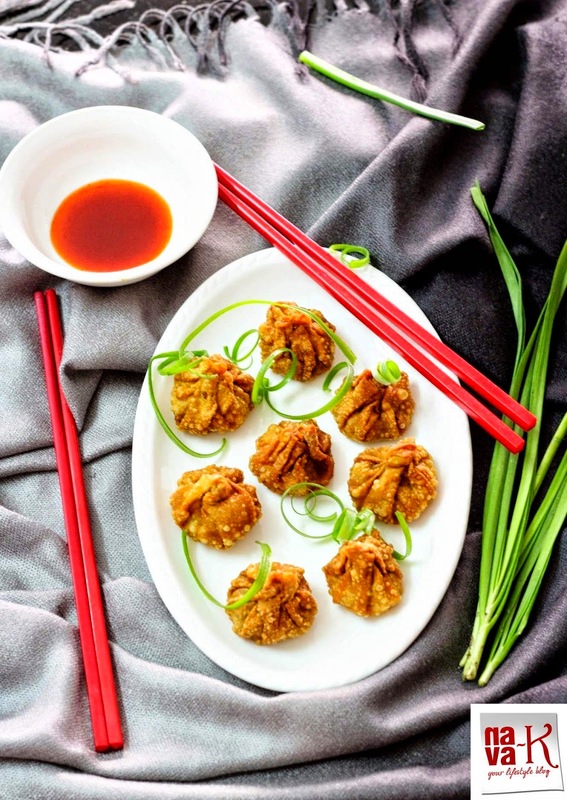 By themselves, or when dipped into chilli sauce prior to having a ball of a time and as many as we want till all the fried prawn wanton are over and done, perhaps within a short while, what a delight. How do we make these prawn wantons? I think I have already alerted you. 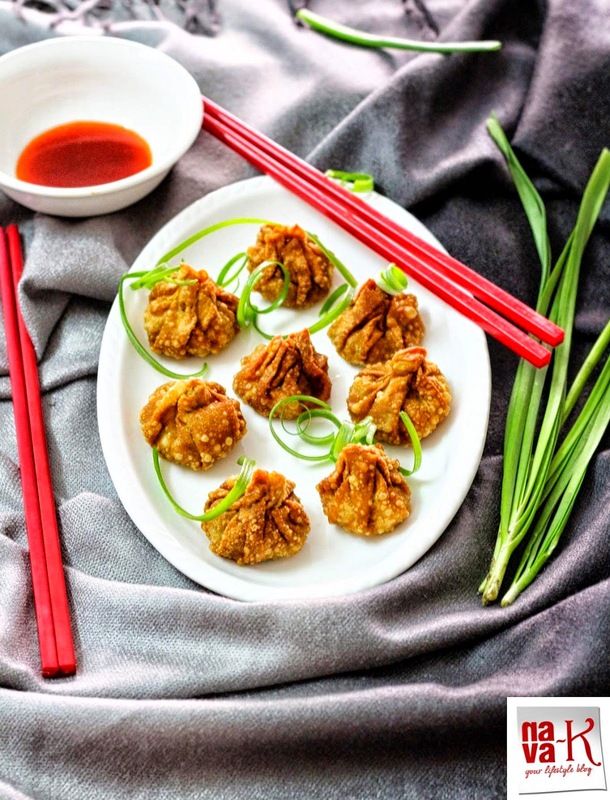 In fact in my previous recipes as well (Hong Kong Wonton Noodle Soup & Chicken Wanton Soup) and this latest variety is sort of the cousin of the previous Fried Shrimp Wanton. Only that, the tedious thing for me when prawns are a concern (Mee Goreng Udang, Hokkien Hae Mee, Mongolian Prawns, Goan Prawn Curry, Butter Prawns & Prawn Coconut Milk)? The peeling and cleaning, especially the time taken pulling out the veins. Otherwise, all is fine with prawns though I must say we are not the biggest fans of prawns (Sichuan Prawns & Chinese Prawn Fritters). Of course, there is always the once a while and these Fried Prawn Wanton, trust me, are super yummy, super crunchy and super beautifully plated up. Combine/mix all ingredients together except for oil. Divide equally into 8 portions. Fry in batches and serve with chilli sauce. I have had only had steamed wanton not yet tried this..
Looks really yum, Nava. And the presentation is awesome! I love prawns and fried wontons and the combination of these two definitely takes it to another level! Beautiful plating, Nava! I can never resist some nice deep-fried wontons. Sounds like something I would love to have! Love wontons!! These look so amazing! When it comes to writing...I just can't pen down...however love to read. I will enjoy these very much.